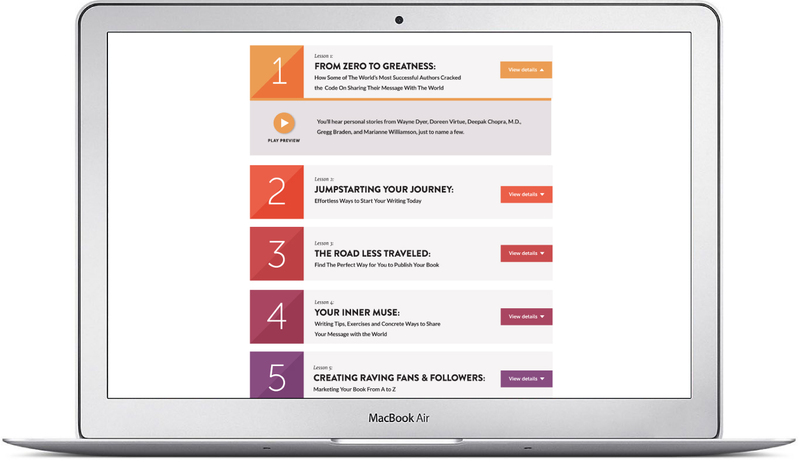 We crafted a learning portal for transformation. 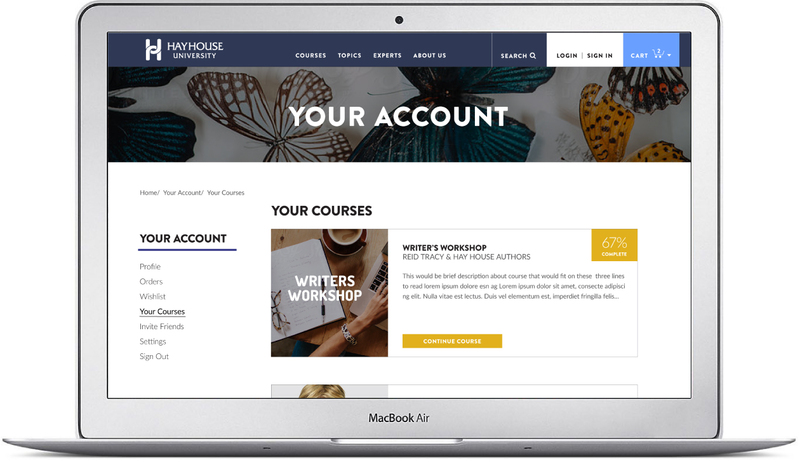 The challenge was to stand out from other online learning sites. 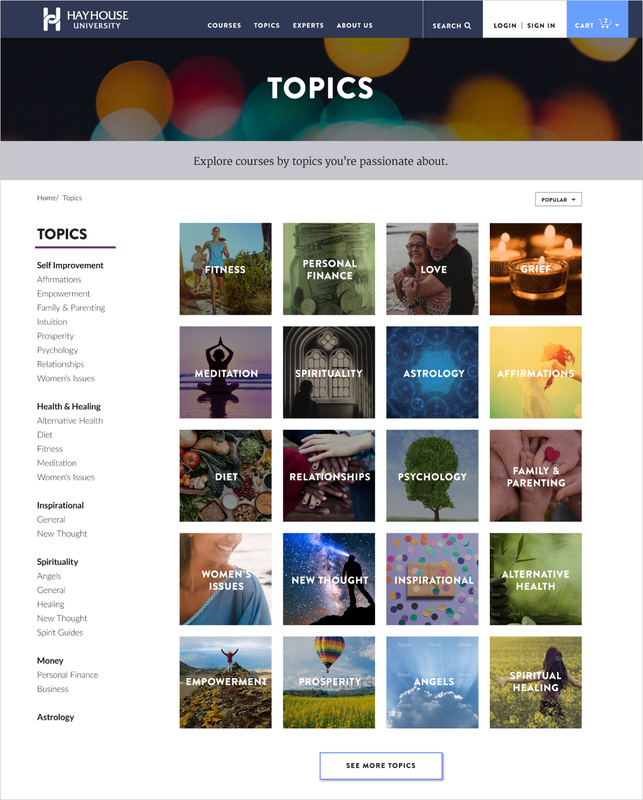 We put the focus directly on the viewer and Hay House’s 30 years of creating inspiring resources for people. 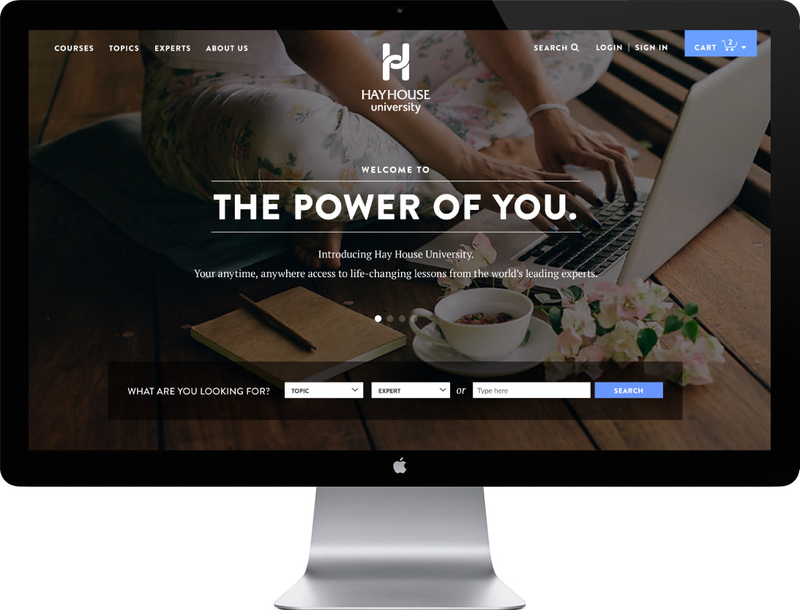 The tagline, The Power of You, honors the viewer and brand position. 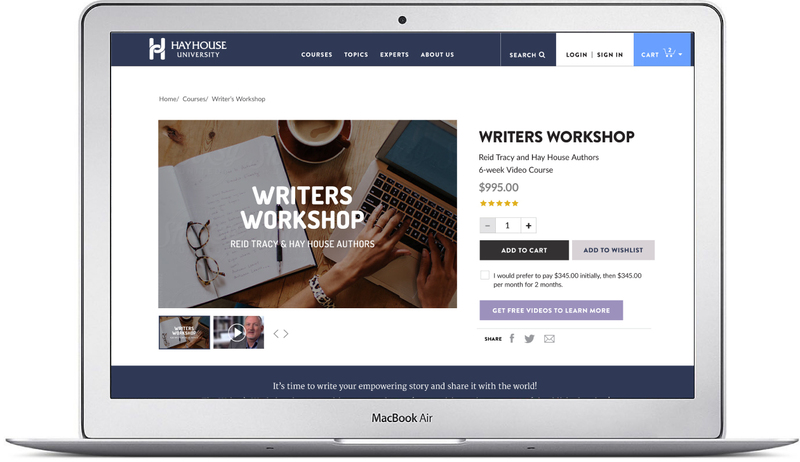 And we pushed this theme into every aspect of the site– the beautiful yet real imagery, empowering messaging and refreshing website design. 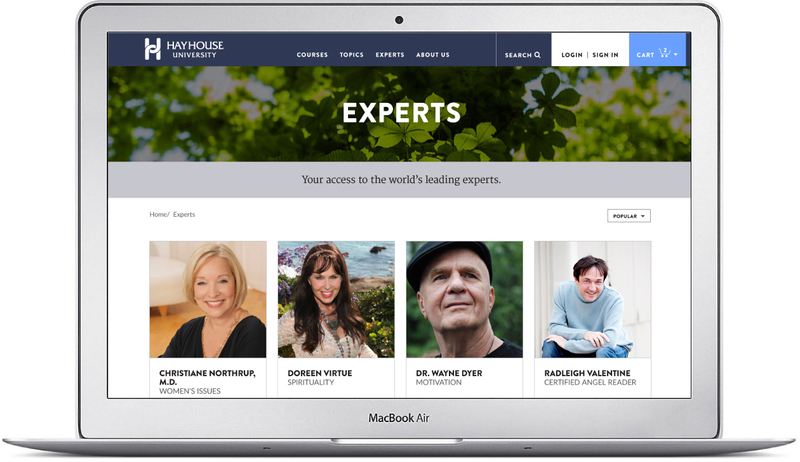 The result: A clean, modern, easy-to-navigate site to engage 30-40-somethings who want to learn from Hay House’s globally-known experts. 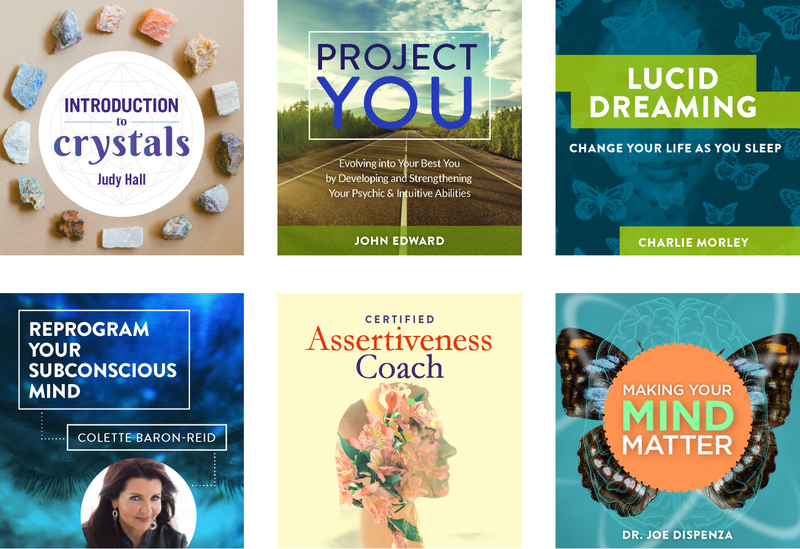 Below are the custom course covers we created to give a better sense of each course, engage the viewer and match the expert’s mood or personality. Project Credits: Strategy and Development by Katana.